Moonstone Earrings. Triple Drop Earrings. 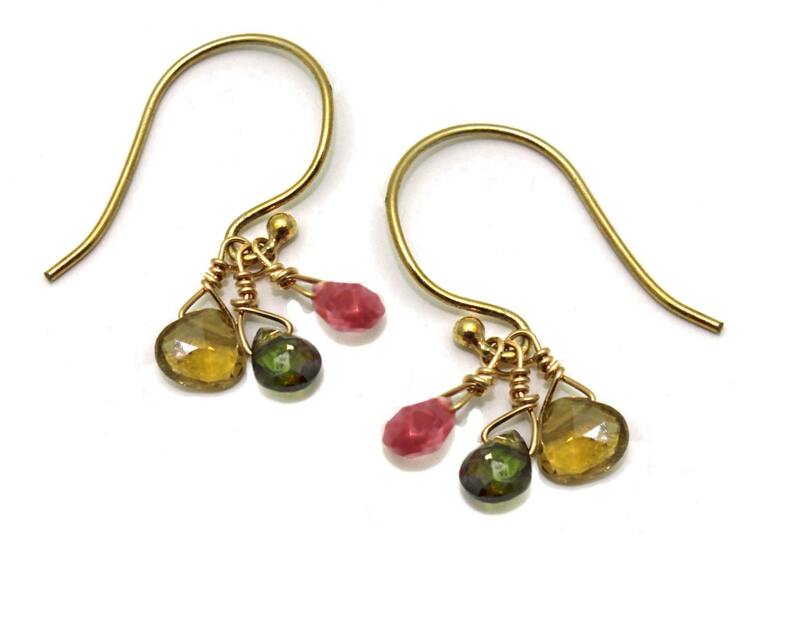 Birthstone Earrings. Sterling Silver or Gold Fill. Pick a Birthstone. 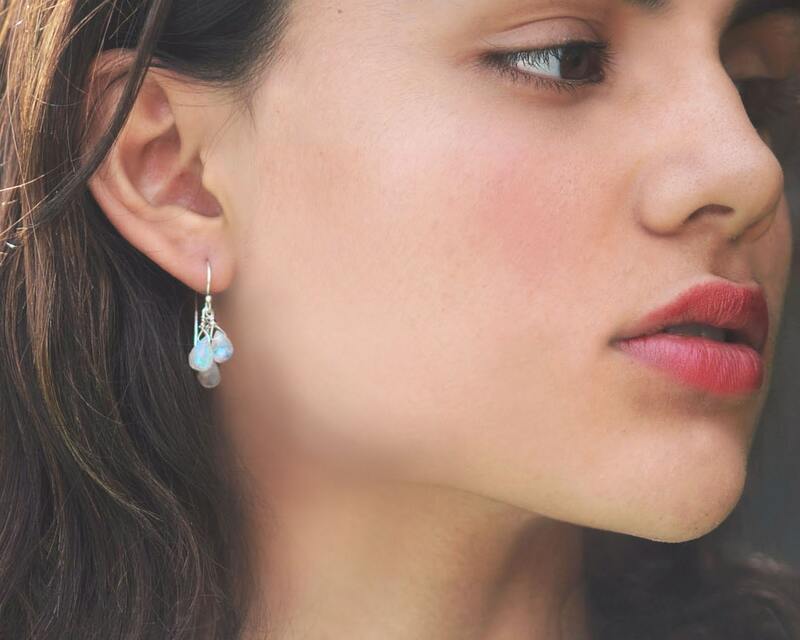 Triste: Triple Moonstone tear drop earrings. There is a lovely blue flash to the Rainbow Moonstones. Made in Sterling Silver or 22k Gold Vermeil. 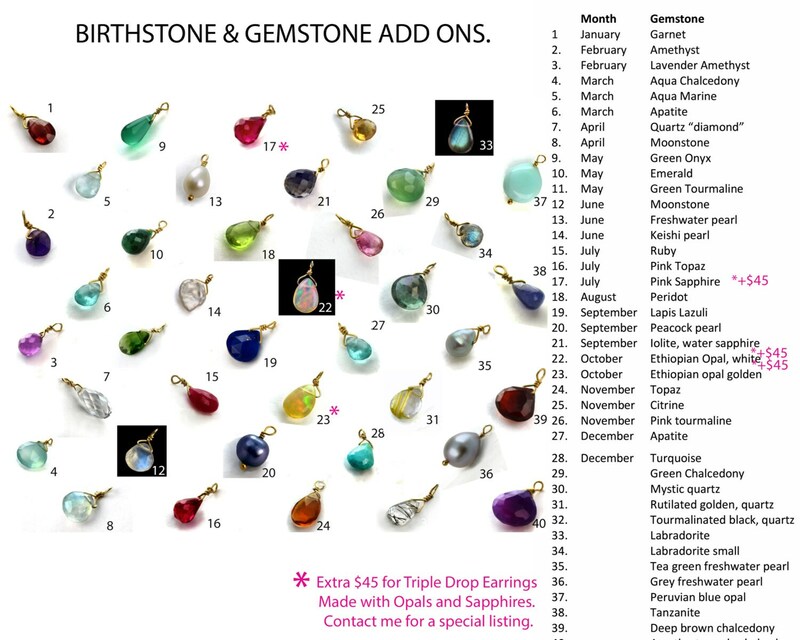 If you would like a different gemstone option, choose from the list in the last photo, and let me know in the notes at checkout. 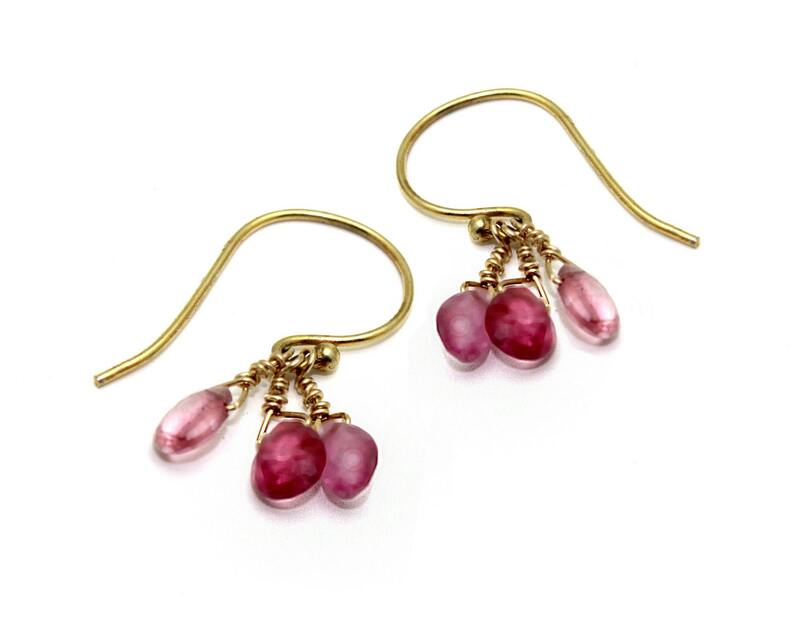 If I don't get a note, I'll make the Moonstone earrings for you.